The history of Albufeira dates back to the Roman Empire. In Roman times, Albufeira the settlement was called Baltum. It had a port and was involved with commerce and agriculture. 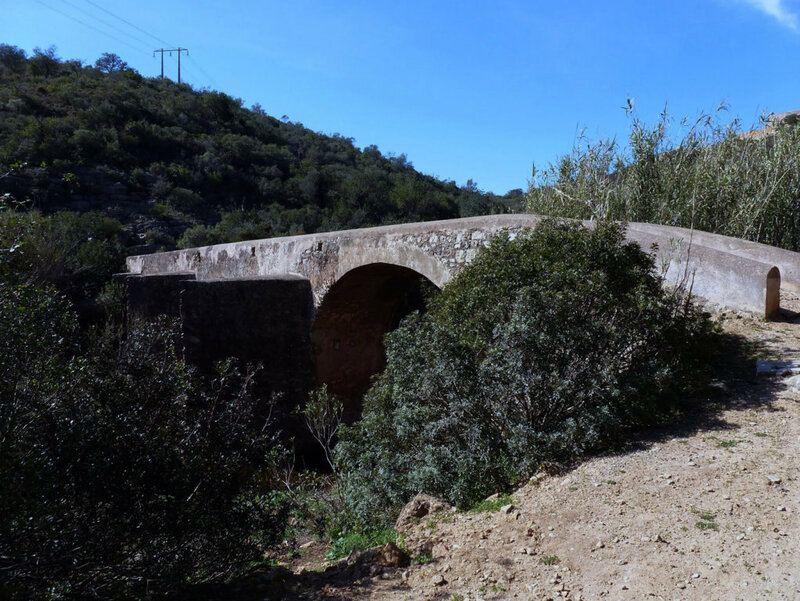 The Roman influence is still visible nowadays, with remains of Roman bridges in Paderne and Guia. The Arabs, who occupied the town in the 8th century renamed it Al-Buhera, which means ‘Castle on the Sea’. During five centuries of Arabian rule, Al-Buhera had an intensive trade with North Africa. Together with Faro it was one of the last Arabian strongholds to be conquered. Al-Buhera was conquered by the Portuguese forces of King Afonso III in 1250. The Christian conquest and the decadency of the trade led to the decline of the town. The town became a simple fishing village. The city stood on the cliffs above the beach, and was defended by a wall, from which there are still some remains. Streets were narrow and all houses were white washed. This is still a characteristic of Albufeira’s old town. King Manuel gave Albufeira a new charter in 1504, granting it the status of a town. This document ruled the collective life of Albufeira. It concerned the civil, penal and administrative law as well as taxes, trade and the economy of the town. In 1573, king Sebastian visited the fortress of Albufeira, which had strong artillery. The fortress was able to defend the town against the constant attacks of the pirates in a time when there were constant attacks coming from North Africa. The earthquake of 1755 damaged a great part of Albufeira. Many buildings were destroyed by the tsunami following the earthquake. A second disaster in the history of Albufeira happened in 1833, during a civil war between liberals and absolutists. Albufeira had been one of the first towns in the Algarve to support the liberal ideals. During the civil war, Albufeira was attacked by the absolutist guerrillas, resulting in the destruction of several buildings and the execution of many inhabitants. The guerrillas controlled the town for 4 years. 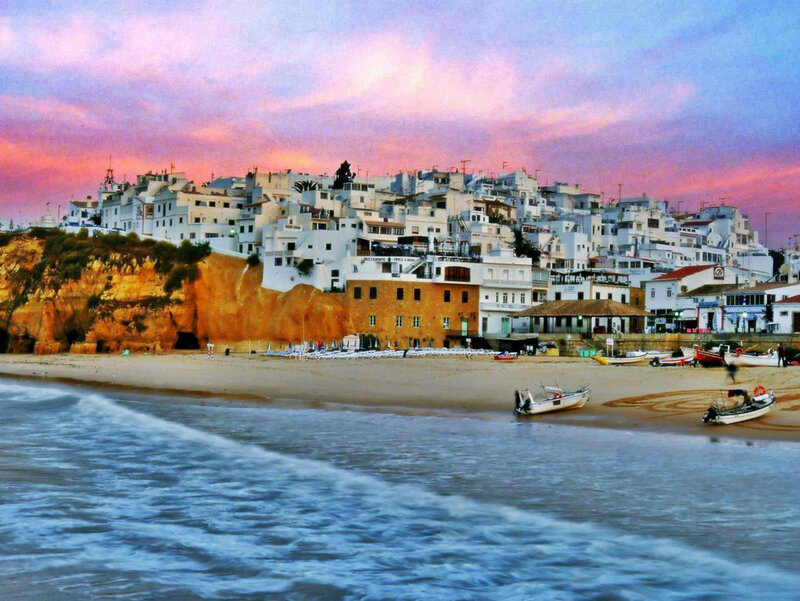 Until the 1960´s, Albufeira was a small fishing village, which mostly supported the local consumption of fish. 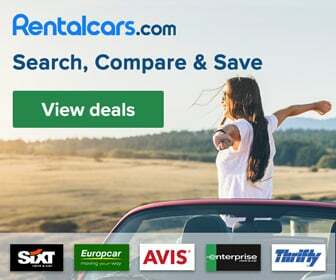 After the 1960’s, the town became a major tourism centre of the Algarve. One of the main traditions still held in Albufeira is the festa em honra de Nossa Senhora da Orada (Festivity of Nossa Senhora da Orada). 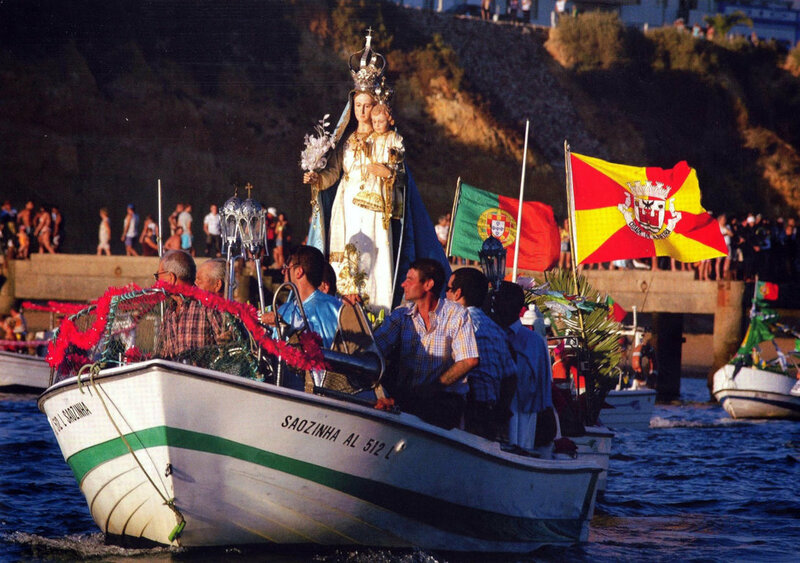 This is held on the 15th August and is a nautical tradition in which fishermen carry a statue of Our Lady on their boats along the coast.